Sunflowers are tall, stately plants with large, sunny blooms. The large yellow flowers attract birds, bees and butterflies, and are popular in both the garden and indoors, in vases and arrangements. Although sunflowers are relatively easy to grow, they do require the right location and soil. 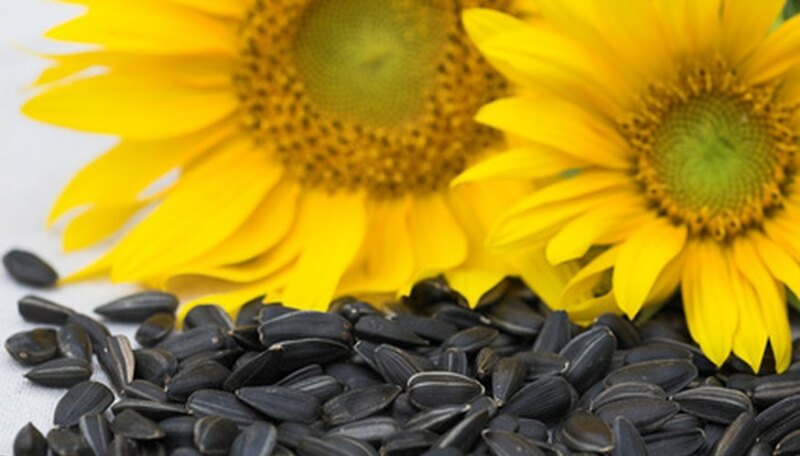 Sunflowers start from seed, and must be planted in a location that gets full sun and good drainage. Choose a site that has plenty of room for the tall plants, with at least 1 to 2 feet of space between the plants for growing. Sunflowers don't like to have their feet wet. They grow wide, shallow roots that rot and fail in standing water. Do not choose a site that puddles regularly or that tends to mud. Sunflowers grow in poor to fertile soil as long as the gardener makes the right amendments. Mix organic compost into the top 8 inches of the soil to start, to provide the loose foundation sunflowers require for drainage. According to Renee's Garden, sunflowers are heavy feeders and do best with toppings of rich fertilizer at planting. Mix organic or 10-10-10 fertilizer into the top 8 inches of soil at the planting site, and give the sunflowers another feeding during their growing season. According to Garden Hobbies, sunflowers are drought resistant, but do better with plenty of water. One to two deep waterings each week, of 1 to 2 inches of water, will encourage good growth and big, bright blooms. Grown in the right soil and conditions, sunflowers grow from 2 to 3 feet tall to over 20 feet tall. Different varieties of sunflower feature different sizes and flower shapes. Larger sunflowers are heavier feeders than the smaller varieties. Old Fashioned Living: Anyone Can Grow Sunflowers! What Nutrients Do Sunflower Plants Need?